It is now confirmed by Lao Airlines Facebook Page. Lao Airlines flight QV301, onboard with 44 passengers and 5 crews is travelling from Vientiane to Pakse on October 16,2013, leaving at 14:45 local time and expected to arrive at Pakse Airport at 15:55. Upon preparing to land at Pakse Airport the aircraft ran into extreme bad weather conditions and was reportedly crashed into the Mekong River. There were news of survirors at this time. 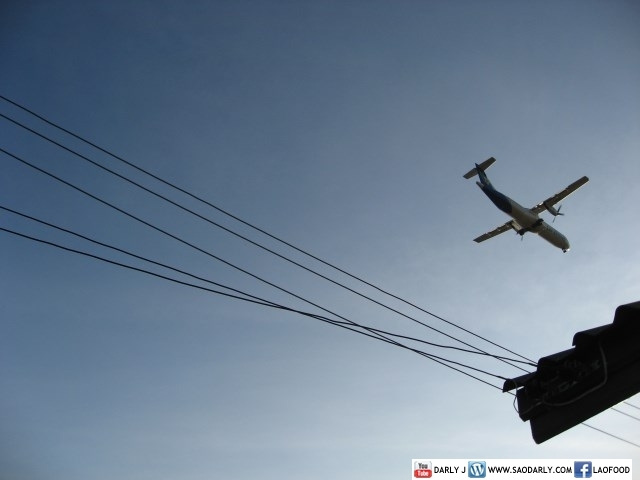 The plane that crashed into the Mekong River is believed to be an ATR 72. 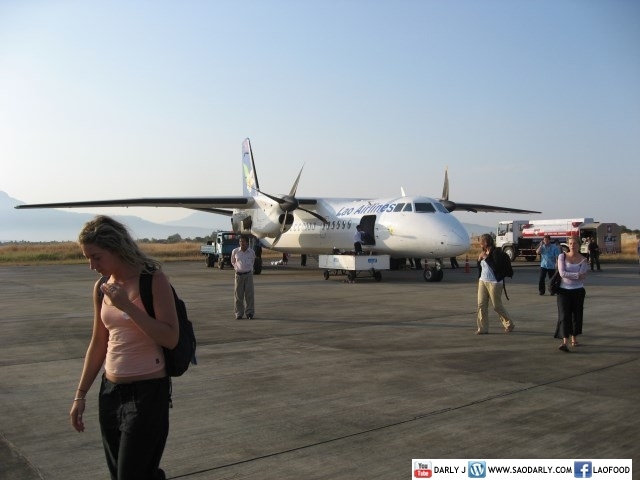 I flew with Lao Airlines a few times with ATR72 and went from Vientiane to Bangkok last year with an ATR. The video below is from the flight from Vientiane to Luang Prabang in 2010 with the brand new ATR bought in late 2009 to accommodate the SEA GAMES. 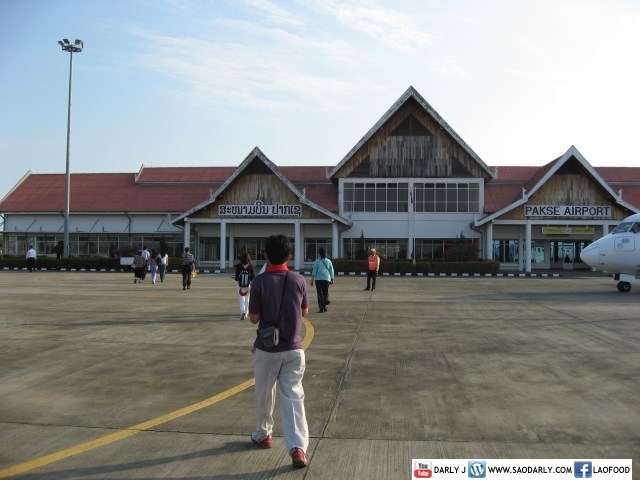 I flew from Vientiane to Pakse, Laos once with Lao Airlines in a Chinese made plane. It was a smooth and enjoyable flight. I spent so much time looking at the beautiful landscapes of Laos and before I knew it, we were on the ground. The above photos were taken after a flight from Vientiane to Pakse, Laos in 2007. This is the landing path for Lao Airlines coming into Pakse International Airport. The renovated airport extends all the way to my aunt and my Grand-Mama’s house. You can see the flight from Vientiane coming in for a landing just over the roof of the house. My heart goes out to the family members and friends of the passengers on flight QV301.